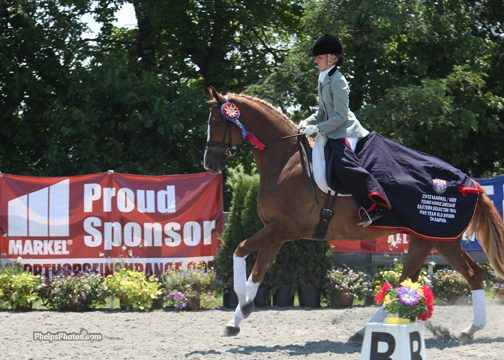 Alice Tarjan who finished a strong second with her 6-year-old Somer Hit, also rode her own Oldenburg mare Elfenfeuer (Florencio-Unknown by Sion) to a first place finish in the five-year-old division at the Markel/USEF Eastern Selection Trials hosted by the VADA/Nova, Inc Summer Dressage Competition held at the Morven Park International Equestrian Center in Leesburg, Virginia. Elfenfeuer fell fractions of a point away from the short list, but improved from preliminary to final test with scores of 7.34 and 7.72 respectively. 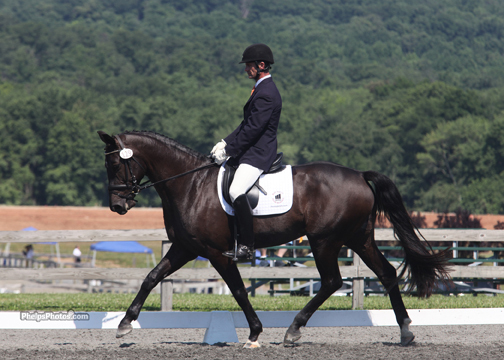 Tarjan purchased the imported mare as a three year old from Judy Yancey in Florida. “I liked her breeding, and she is beautiful. 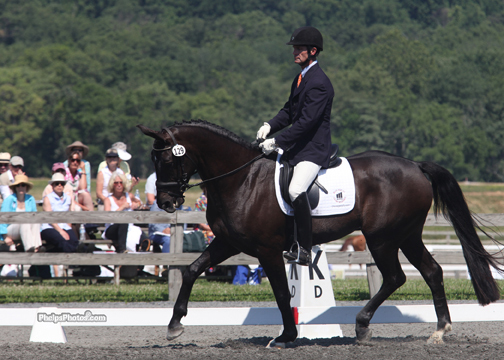 I thought if anything else she might make a good foxhunter, until I began training her and felt what I thought was something special.” Tarjan was excited this winter when in the same week both Robert Dover and Scott Hassler had a chance to see her in work, both having the same reaction. “Wow, this is a super big time horse,” was the reaction from both trainers, and in the five-year-old Final the judges agreed. 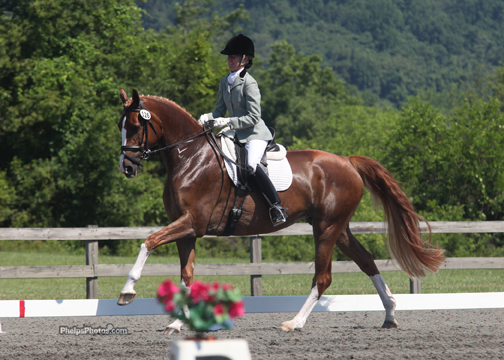 Finishing second in the five-year-old division was San Regilio (San Schufro-Rowina by Rohdiamant). 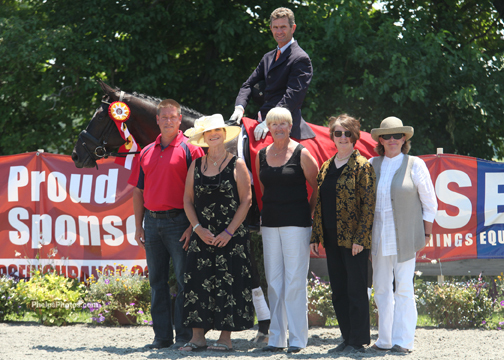 Ridden and owned by Jules Nyssen the Westfallen Gelding kept the competition very close with test scores of 7.36 and 7.66. 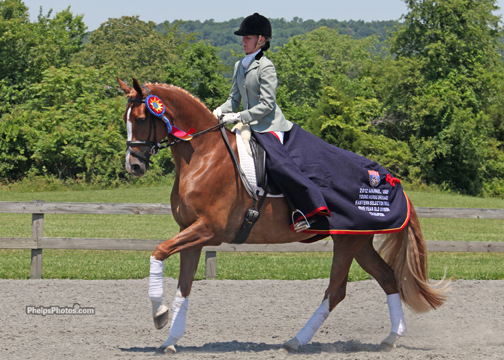 Nyssen a superior horseman and trainer makes three to four trips a year to the Netherlands, where he finds excellent examples of quality breeding this gelding being bred by Annabeth Reesink. 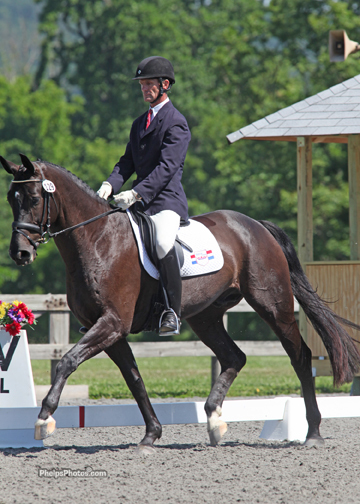 Nyssen was thrilled with the result just a fraction behind Tarjan’s mare, and reiterated his enthusiasm for the program in the United States looking forward to aiming for the National Championships which will be held at Lamplight Equestrian Center, in Wayne Illinois, August 22-26, 2012. 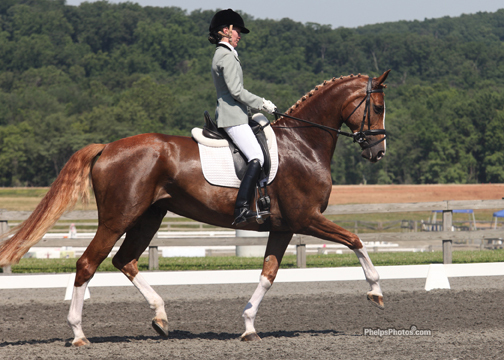 Overall, it was a weekend that saw some very good individual performances and showcased promise for the future of U.S. Dressage and the Markel/USEF Young Horse Dressage Program. We combine our travels covering events by visiting farms along the way, and have been bringing added value, saving premium dollars, increasing services and coverage to our friends and Farm Owners as we cover our On the Scene Territory. Let me know if you would like us to take a look at your Farm , Liability and Equine Mortality and Major Medical needs. People have been pleasantly surprised at not only the added value we bring, premium dollars we are saving them, but the ease at how we can do this. 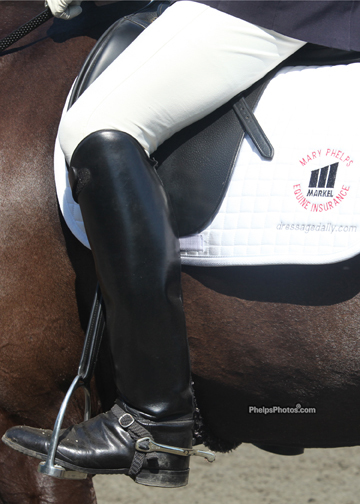 Send me an e-mail - mary@horsesdaily.com, to get started. 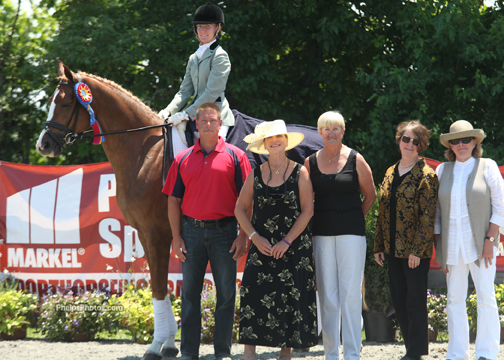 Hakira - Proven Amateur Champion!